similar to Google search operators, Twitter search provides a set of powerful operators that students can use to conduct focused search queries. 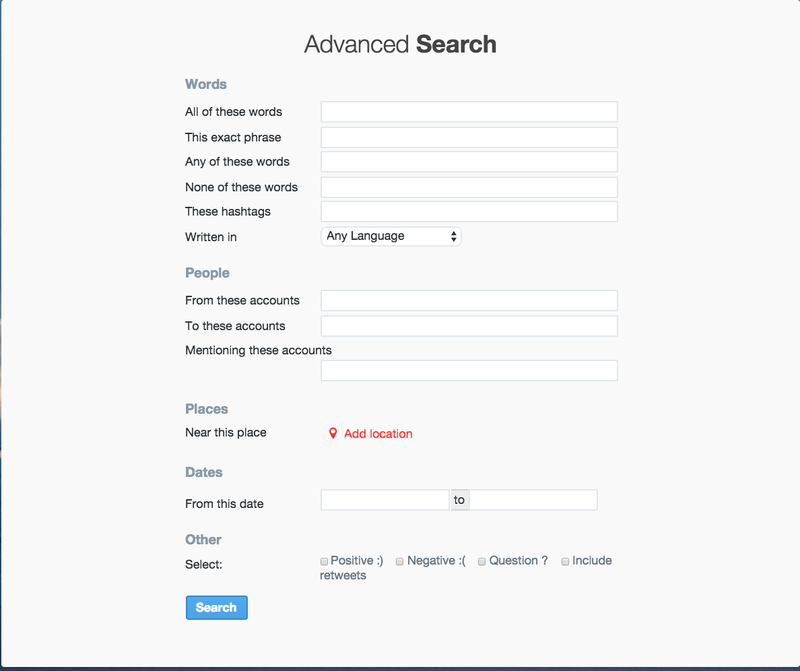 They can use a combination of search operators to look for tweets from specific persons, sources and locations. Check out this cheat sheet to learn more about these search operators. Hashtags are a good way to gather people around content. There are hashtags for almost anything: news, events, conferences, you name it and you will probably find a hashtag for it. Students can search for content using a specific hashtag. For instance if they are looking for resources on educational technology they can run a search query in Twitter search using the hashtag #edtech. Here is a cheat sheet with all the educational hashtags out there. The Word's section in Twitter advanced search allows students to specify the terms, and phrases to be included or excluded from the tweets to be returned in result pages. It also lets them search for tweets that include a given hashtag. They can also specify the language of their tweets and choose from a wide variety of languages provided there. Students can use this section to look for tweets coming from, sent to, or mentioning a certain account or multiple accounts. This is a great feature that students can use to look for trending tweets and news in a particular place. 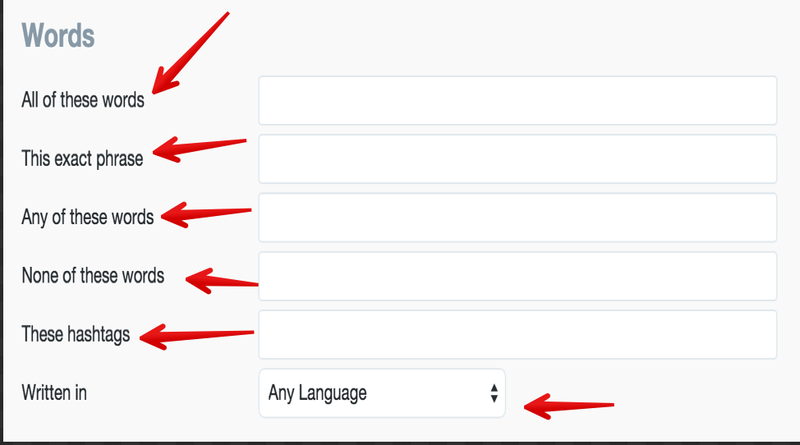 To use this functionality, they need to click on "add location" and Twitter will automatically add their location or they can choose the location they want. This feature enables students to look for tweets and resources shared within a specific period of time.